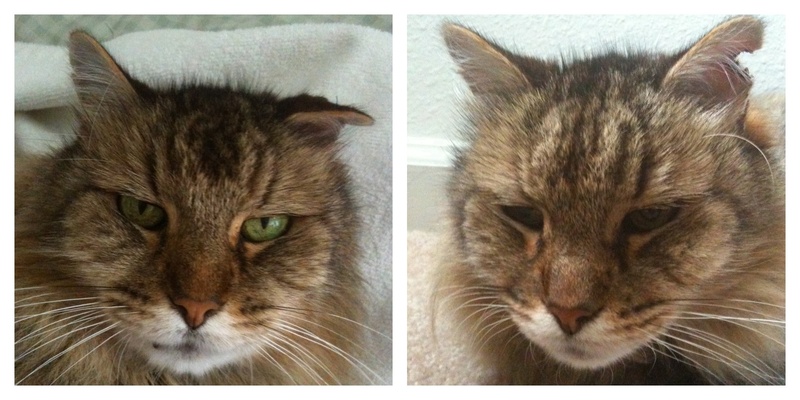 Yang’s ear not only straightened out when the stitches were removed, it split apart into a tough-guy notch. A friend noted his resemblance to Azrael from The Smurfs. Mardi has a notch like that, after she got into a fight with one of the local toms. Hers was accompanied by a puncture wound that ended up abscessed.